Update on 10/26: Dr. Ficarra has asked SOMSD Director of Technology Keith Bonds to address the questions raised by the committee. Bonds said he expects to have more information by the end of this week. A group of concerned Seth Boyden PTA members has formed a committee to address issues with the 2018 PARCC results. The scores for Seth Boyden’s opt-in students were assigned to their zoned school, and not to Seth Boyden, which could have implications for our students, teachers, school achievement rates, and more. 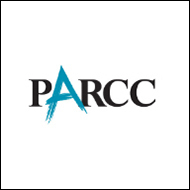 The newly formed PARCC Score Errors Special Committee has submitted this letter to Dr. Thomas Ficarra, the interim superintendent of schools. If you share this committee’s concerns, we encourage you to attend the Board of Education meeting at 7:30pm on Monday night at 525 Academy Street in Maplewood. This entry was posted in PTA, School, School District, Seth Boyden News. Bookmark the permalink.